I wonder if your bookmark pattern can be done by hiding the other colour in the split ring? Then you may require only the 2 standard shuttles. I've tried the pelc, double shuttle. I had better luck using a clover shuttle and a bobbin shuttle, stacked. The adjusting the bobbin, allow the threads to be even. 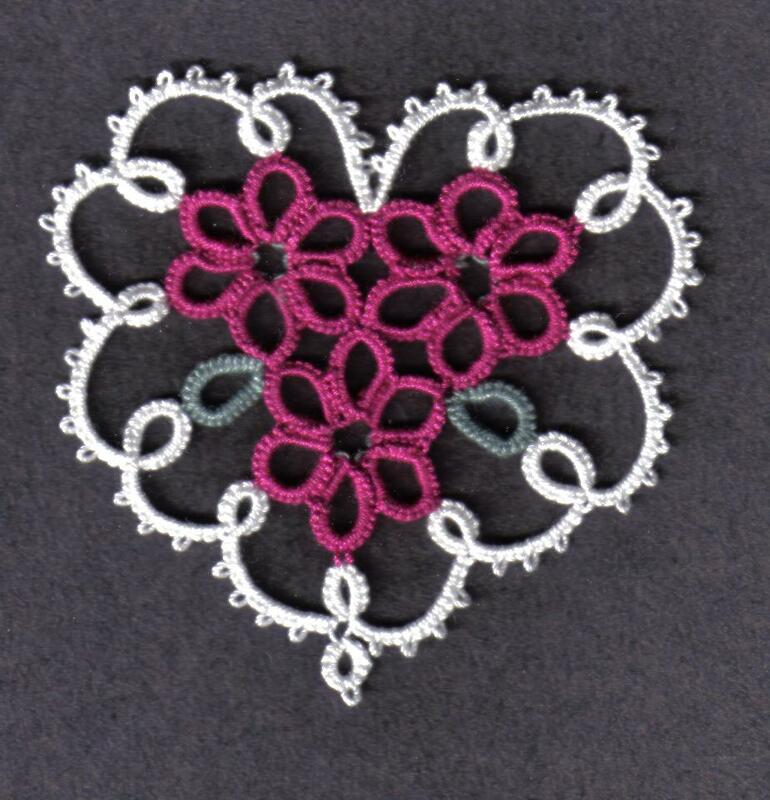 Here is the doily I made, using this technique plus a ball. Don't know if this will help. It's annoying when you find yourself paying more attention to the equipment than the result, in any sphere! 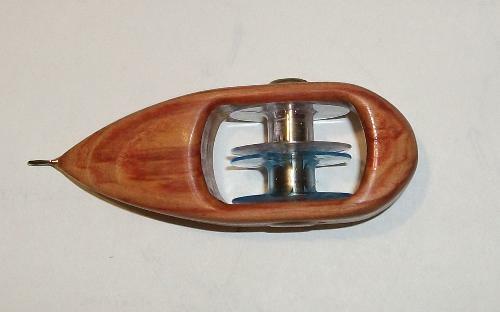 I've never used a double bobbin shuttle, just used two aero shuttles held together. As you say, it's not something done very often. Seems like 'double trouble' to use the double-bobbin shuttle! 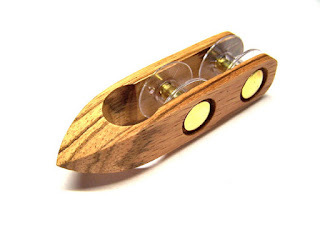 And I doubt that this 'tip' will help with a double bobbin shuttle, but I wanted you to know that a single bobbin shuttle can be wound without ever removing the bobbin and worrying about those 'bits' getting lost. Simply tie a slip knot around the bobbin (still in the shuttle) and roll the bobbin (like a toy car) on a flat, but not smooth, surface to give it 'friction'. I use the reverse side of a mouse pad - the rubbery surface is perfect and doesn't damage the bobbin. It really speeds up the process of winding the shuttle; and by keeping the mousepad handy, I also retract the thread to make a chain after doing a ring by rolling the bobbin. Helps prevent carpal tunnel syndrome. I discussed this with Frivole in 2015, and she wrote about it in her post of August 7, 2015. 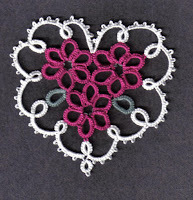 I started doing this back in 1991 with a lovely wood shuttle (with plastic sewing-machine bobbin and tiny metal shaft) made by a fellow especially for our tatting group. He also added the tip of whatever size crochet hook we wanted. But I always worried about losing the tiny metal shaft for the bobbin. (It was pushed out with the end of the crochet hook that he 'discarded' - so you had to keep that handy, too.) So I tried rolling the bobbin without removing it at all, which worked just fine and I loved the feel of the wood shuttle in my hand. Later on I discovered I could retract thread by rolling even the Aero shuttle bobbins. (I even wind the Aeros with this method!) When I bought a Pop A Bobbin, I was delighted that I could roll its bobbin as well. The double bobbins are quite another matter, however!